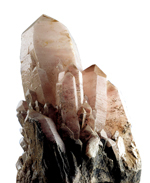 The collection contains many fine and rare examples of crystals found in Britain. They are displayed alongside many other colourful specimens from around the world with unusual items such as the 4.5 billion year old, three kilogram meteorite, the fossilised egg and dung of a dinosaur! The “Maverick” gold nugget is one of the largest natural gold specimens on display in the U.K. generously donated to the museum by “Maverick” Bill Wilson and his wife Margaret. The displays include a brilliant set of exquisitely cut replicas of the world’s largest diamonds. 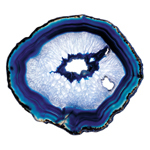 One of the astonishing things about crystals is the diversity of colour which is well represented by the thousands of cut gemstones on display, many of which are rare varieties.